Mud cats, polliwogs and chuckleheads. You know what those are, right? If you aren’t familiar with them by now, they’re all names for our favorite freshwater bottom-feeder, the catfish. Oklahomans know how to catch them, in traditional ways and not so traditional. But most of all, we know how to eat them. In fact, Americans all over the country love to eat them, to the tune of half-a-trillion dollars worth a year. In Green Country, a good catfish dinner comes in all sorts of ways to please the most demanding of palates. 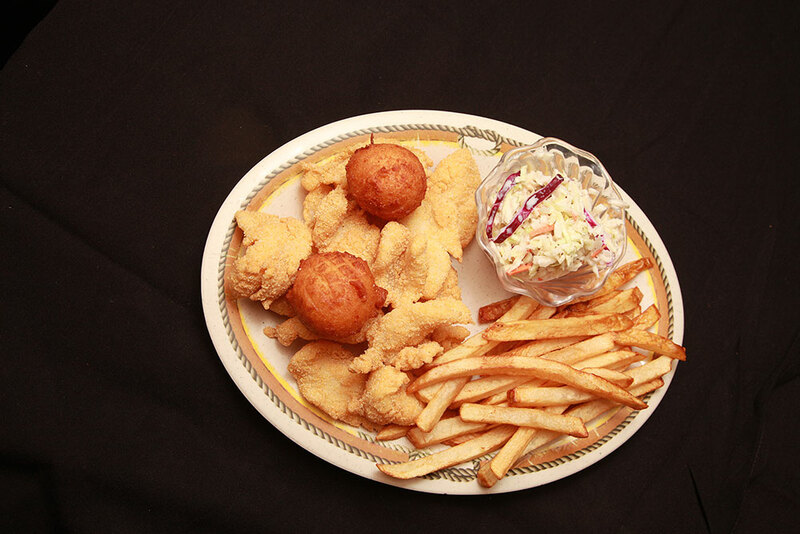 You can enjoy these soft white filets with traditional fish fry or picnic-style sides like tasty hush puppies, fried okra, corn on the cob or a bowl of homemade coleslaw. Whether you order it baked or fried or some other way, you can get your catfish the way you want it — just as long as there’s a bottle of ketchup, fresh tartar sauce or hot sauce handy. However you take yours, there are plenty of places in the Tulsa area to get your catfish on. Here are some suggestions where you can bone up on your love for the catfish dinner. 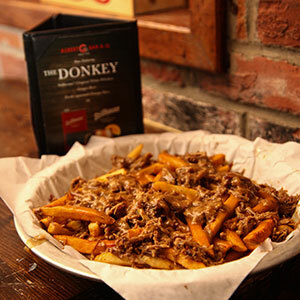 In the heart of the Brady District, Caz’s Chowhouse is a great place to snag a meal or drinks before a show at the BOK Center, Cain’s or other nearby live music venues. Caz’s catfish, like all of their menu items, is a wonder of home-cooked comfort. The light corn breading is just the right touch of crunchy, the fish the right touch of soft. It comes sided with fries and a spicy coleslaw that brings the meal full circle. Plus, their drinks keep the bar hopping. A trip to Celebrity is a blast from the past brought into the present for retro fun and timeless dishes. One of the hippest joints in Tulsa’s history, this restaurant has fed the likes of many a well-known star, Willie Nelson among them. 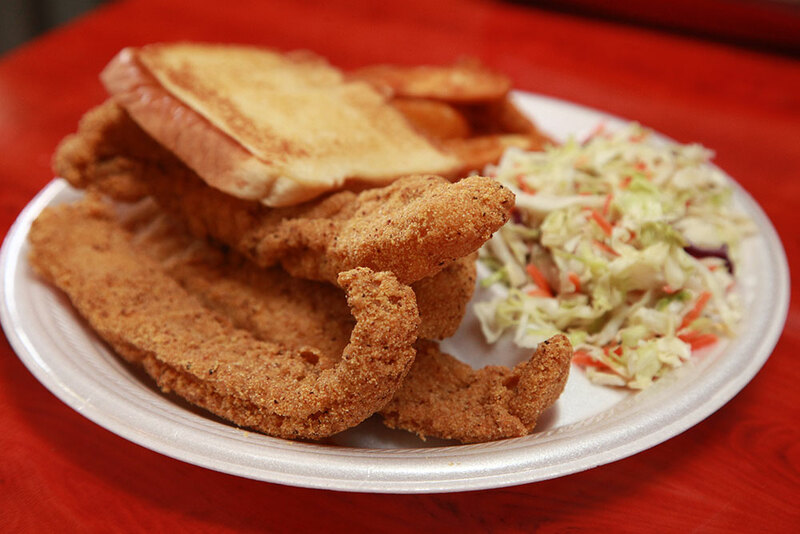 Their large fried catfish filets are lightly breaded, seasoned to perfection and served with your choice of superb sides, excellent service and casual elegance. Their turtle cheesecake is perfect for finishing off your meal in delectable style. A kitchen with multiple generations of family, Evelyn’s Soul Food does it right, even after all these years. Wanda J., the owner and daughter of the woman the restaurant is named after, is the consummate soul food kitchen master. Her catfish is light and flaky, with the perfect amount of cornmeal batter you’d expect, only better. After some catfish, grab some of their amazing cobbler while supplies last. 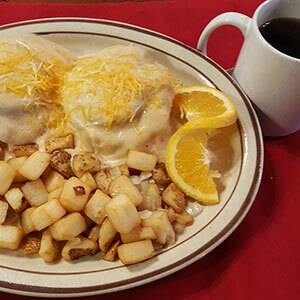 This retro ‘50s-themed diner does a brisk business because they know how to serve up classic diner comfort food in tasty, affordable portions. Their southern fried catfish is lightly dusted in authentic southern breading and golden fried, just the way you like it. Here’s a tip: order your meal with their famous onion rings, which are thin and crispy and delicious, and served in an appetizer portion big enough for your whole group to enjoy. On Friday and Saturdays, hustle into Hatfield’s for one of Green Country’s tastiest, good-old-fashioned, all-you-can-eat catfish spreads. It always comes with a side of Texas Toast and your choice of two other sides like fried okra, sweet potato fries, onion rings and nearly a dozen other choices. Good luck trying to find a better place on the weekend for an all-you-can-eat catfish dinner. As they say, Hatfield’s is the real McCoy. Lazy Fisherman makes no bones about it. Their specialty is catfish, and they’re proud to say so. They take boneless catfish filets and coat them with their own secret cornmeal recipe, then deep-fry them to a golden brown crisp. Of course, you can also get your catfish without breading and grilled plain, lemon peppered or seasoned with Cajun spices, which is not something most restaurants offer. It’s all served in a charming farmhouse-style restaurant with picnic-style tables and benches for a rustic, down home feel. Tulsans know that when you’re ready for barbecue, RibCrib has to be on the list of top places to go. And of course, they do serve ribs. 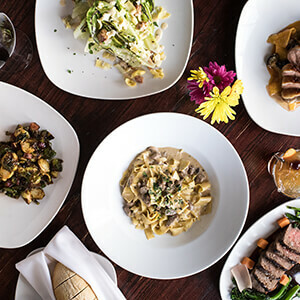 But they serve a whole lot of other tasty dishes too, with a solid wait staff and family-friendly atmosphere that keeps people coming back for more. This Oklahoma-grown chain of barbecue restaurants honors its southern roots with items like the crispy catfish basket, covered in a healthy dose of breading, served with fries and coleslaw that regulars love. You’ll enjoy a subtle, but amazingly good, crab-stuffed catfish at SMOKE. Take the freshest catfish filet, cover it with a thin layer of choice crabmeat, fry it with just the right amount of breading, and we’ve only just begun to describe it. Now lay your eyes on this most excellent fish as it rests on a bed of andouille gumbo and basmati rice, and you’ll think you’re feasting on the grand prize winner of a Louisiana catfish festival. Ooh-wee! Fans of Sweet Lisa’s can tell you that this smart little cafe north of the Brookside area features some excellent, traditional soul food. We’re talking chitlins, pig feet, barbecue chicken, liver and onions, and of course, catfish. Sweet Lisa’s serves their catfish whole and bone in, like you just caught it and cleaned it before frying it up in a light corn flour breading that is thin and crispy, the fish tender and moist, just like grandma used to make. Maybe even better. One of Owasso’s favorite pit stops for barbecue cooking, Trails End also serves a mean catfish once a week. Exclusively every Friday, you can enjoy all you can eat of it. The special gives you two sides and hush puppies alongside hand-breaded catfish in both regular and Cajun spice options, depending on how you like it. There’s no sharing allowed, but really, you won’t want to anyway, because it’s all so good. Wanda J’s Next Generation, in the heart of Tulsa’s Greenwood District, serves up some of the sweetest catfish this side of the Mississippi, and certainly this side of Mingo. Served with a huge slice of moist cornbread and a half-cob of fried corn, this lunch-time catfish combo will have you so stuffed, you’ll be rolling back to work without regrets. 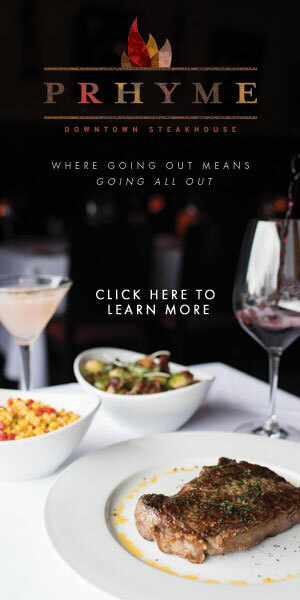 Renowned for its large, breezy dining room overlooking the Arkansas River in Jenks, Waterfront Grill is a go-to choice for its gorgeous atmosphere and rich menu. Among their delightful seafood menu is a catfish meal you’ll be back for. The flaky catfish filets are fried up in authentic southern-style cornmeal breading, served with crispy skinny fries, homemade coleslaw and tartar sauce. Class it up with a glass of wine, a cucumber martini or a jalapeno margarita as you enjoy a cool breeze in early summer on their patio. For classic fried catfish, the way they used to make it in the day, get yourself to White River Fish Market & Restaurant. Fresh catfish, flown in from all over this great catfish-loving country of ours, is served piping hot and full of love and flavor every day. A restaurant and a fish market all rolled into one, you can have a quick bite of catfish for lunch and take home some red snapper, salmon or swordfish to cook.